LorAnn’s professional strength extracts, bakery emulsions, and flavor fountains can be used to add additional flavor. Check out our Recipes for perfect ways to use them with your favorite Diet Foods! Recommended recipe: 1 tsp. Bakery Emulsion per shake or more to taste. 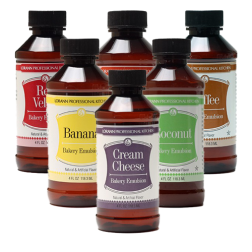 LorAnn's exclusive line of flavorings specially formulated for shakes and smoothies. 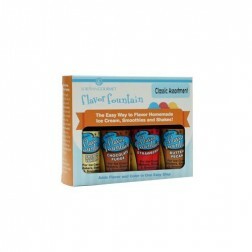 LorAnn's super-strength, gourmet flavoring oils are highly concentrated and unsweetened. PB2 Powdered Peanut Butter is available in both regular and chocolate flavors. Small eye dropper for easy dispensing. Threaded to screw right on to the extract bottle.